It might not seem like it now, but summer is around the corner. And with it, comes the joy of lounging around the pool with family and friends. 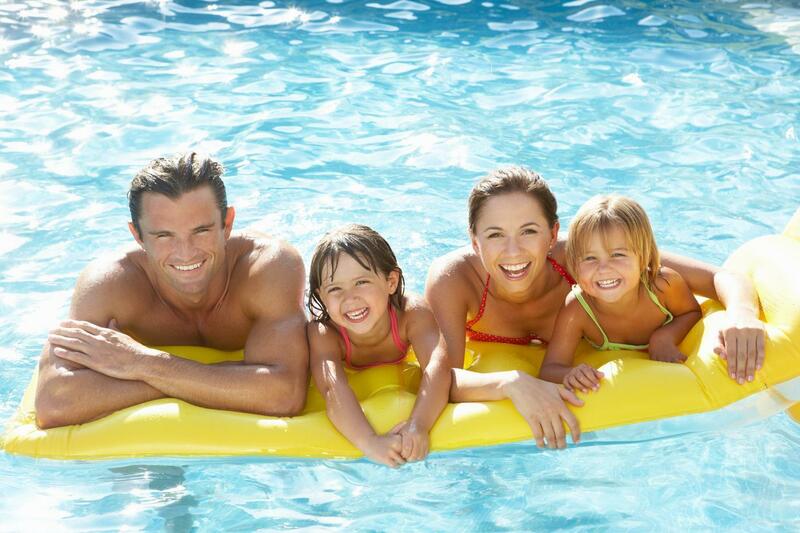 This is a great time to start thinking about our pool security and discussing pool safety with your family. According to Safe Kids Canada, drowning is the second leading cause of injury-related death to children in Canada, and swimming pools are the site of roughly half of those deaths. These are extremely sad but preventable statistics. By putting a few safety features in place, as well as keeping up with your pool maintenance, you can help your children and those in your neighbourhood stay safe. In Canada, pool fencing must be a minimum 1.2-metre (four-foot) high, and it must surround the entire pool. It must also have a self-closing and self-latching gate that regulates all access points. Also, keep large toys or furniture away from the fence, as children could use these things to climb over the fence. A hard pool cover is an effective safety measure and strong deterrent when the pool is not in use, but it does not replace the need for a fence. Soft pool covers can increase the risk of drowning and should be avoided. Make sure you have safety equipment nearby, such as a safety ring with a rope, a reaching pole and a first aid kit. Also, make sure older children know who to call in case of an emergency. Water should not be feared, but it should be respected. Though it is hard for little ones to comprehend this idea, make sure you talk to them about pool safety as often as possible and consider swimming lessons when they hit three or four years old. A lifejacket is your best bet for water safety. Find out what jackets best suit your child’s size and weight here. There are various PFDs that come in many different styles, colours and designs, but no matter what you pick, they do not compete with an adult’s supervision. This might seem like common sense, but it can’t be stated enough. ALWAYS keep an eye on children when they are in or around a pool. An accident can occur in a matter of seconds. Once the fun is over, make sure to put away all pool toys and extra items that may be lying around to decrease the chances of someone tripping into or around the pool. Make sure your cover is on and the fence is locked. A swimming pool is an excellent way to cool off during the hot months, while also relaxing with your family and friends. Make sure you keep up with your pool’s maintenance, cleaning and repairs by contacting the professionals at Total Pro Pools. Let us handle the hard work while you sit back, relax and enjoy your pool.